French doors are not easy to install and are not the typical DIY thing you can do by yourself, unless you are quite a handyman. It is not really a job for inexpert hands because it is not just about the skill, it is also a lot about the tools you have. French door installation requires very specific tools that are used just for that job and also some wood and carpentry tools. These tools are quite expensive and, if you aren´t going to make a living by installing French doors, it is not worth to pay the price to just install a few doors at home. However, in this article we will teach you a thing or two on how to install these doors, just in the case you want to give your skills a try. First thing, the basics about installation. If you aren´t a professional and you want to hire one, but you choose to start the job and set it all in motion, there are a few steps you can do by yourself without any risk. Measure the opening you want to install the doors and make sure you want all that space dedicated to the French door. If you have a wide opening where you usually will build a wall, but you want a French door instead, make sure you want all the gap dedicated to the French door before. If your home has tall ceilings, maybe you should think twice and install something on the top of the French door instead. This will save you a lot of money and won´t block the sights at all. Once you have decided to do it or not, if you decided you prefer to install some panel on top, measure it all carefully and pass the specs to your contractor. Second thing you can do is to go to a showroom or store and take a look around to choose the French door you want for your home. 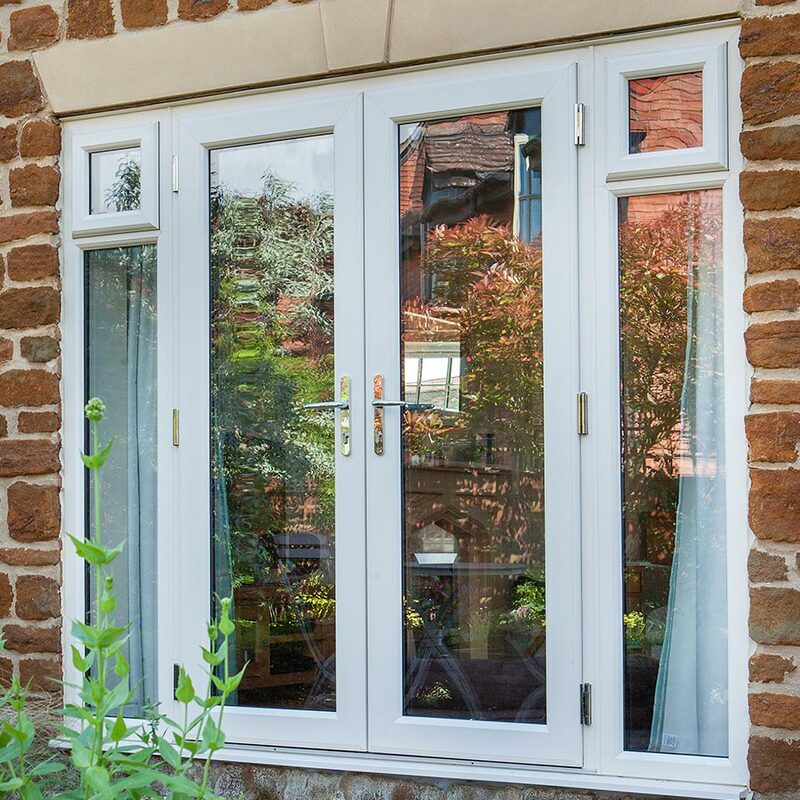 French doors are more difficult to install than regular doors so, once you install one it is likely it will stay there forever. Don’t rush to buy the first one you like, take a look in several places until you find the one you think it fits perfectly with the rest of the house. Online stores are also a good place to buy them cheap (looking for Cheap blinds? ); the problem is you may not be sure of their quality. Even in very reputed stores you can´t check the quality of the wood by yourself and there are a lot of factors to check that are impossible to see online. Last thing, hire a good contractor. 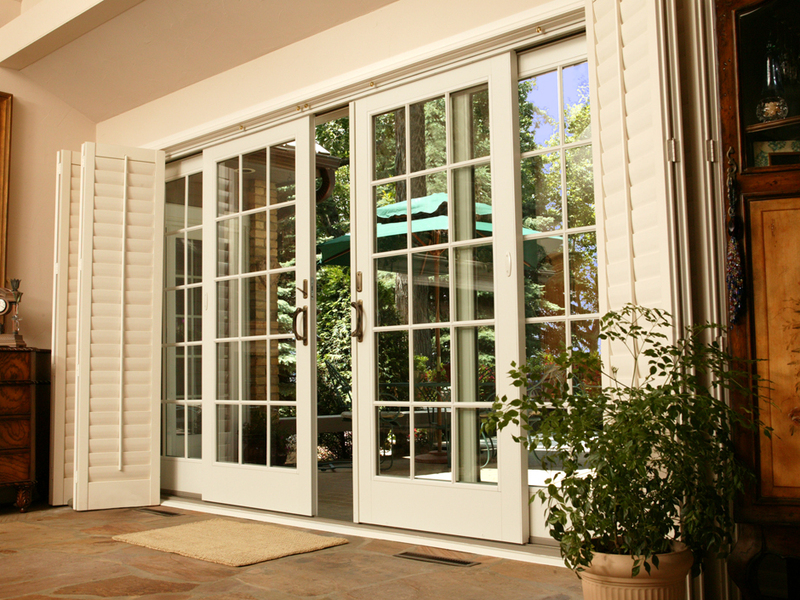 French doors are delicate and not easy to install by the average handyman. It requires expert hands and expert tools so, if you are unsure of your contractor, go to one who has a good carpentry background and has the necessary tools to work the wood, even more if you want to build them by order.